A handful of our hockey players gave up their Thanksgiving weekend to compete for their respective provinces at the Atlantic Challenge Cup. Our small School represented two Maritime Provinces in a big way with the boys’ and girls’ teams sending a total of ten players and one coach. Everyone had great success and came away with some impressive hardware! 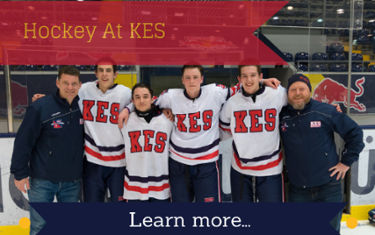 From beginner to elite, your child can join KES hockey players from all parts of Canada, Europe and around the world who share in their love of the sport. Download the King's-Edgehill School Hockey Handbook to learn more.